"Then came June 24 . Her skirts legally clean, Russia hit upon a way to fight the U.S. without technically using a single bullet or soldier of her own. 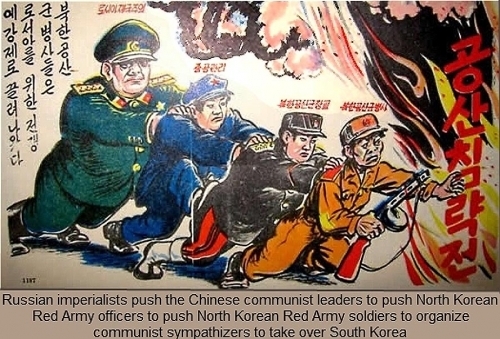 It mattered little if Korean mercenaries, not identifiable nationally with the USSR, were doing the fighting. A satellite war was just as good a way to weaken the U.S. as a direct war - if not better."